Outdoor cinema is fast becoming a summer bucket list must have for couples, friends and families alike – and London is out to prove to the rest of the world that you don’t need to live in the countryside to enjoy the best outdoor cinema experiences. Despite being a busy capital city, London has some fantastic green spaces and parks that offer the perfect venue for outdoor film screenings for all visitors. So, grab your picnic rug and some popcorn and let us entice you with some of our favourite outdoor cinema venues. Complete with deckchairs and an array of vendors selling all of the tasty treats you’d expect at a standard cinema, the Outdoor Screen at Merchant Square is a small and intimate space showing a variety of family-friendly films on selected evenings throughout the summer months. During the day, expect to see sports streamed live too which makes for a pleasant few hours relaxing on the grass with an ice cream in hand. A short stroll from The Devonshire London hotel, it’s the perfect base to pop back to if you need to top up your sunscreen this summer. A little higher-end on the outdoor screen spectrum, the Rooftop Film Club is a cosy venue with a fabulous view over the London skyline. Showing the newest releases and some all-time greats such as Top Gun and Casablanca, the Rooftop Film Club sits above a bar and gallery in Shoreditch and is within easy reach of our accommodation near Paddington Station by train. With a simple 30-minute Tube ride, you can experience this hidden treasure and enjoy a spectacular sunset while waiting for the credits to roll on one of your favourite movies. The beauty of The Backyard Cinema is that it provides an immersive film experience, so the venues it chooses around London vary constantly, dependant upon the theme of the film. The owners also dress the venues accordingly, sometimes using enormous beanbags for seating, fairy lights for romantic comedies and a whole host of other clever little extras that make a night out at The Backyard Cinema something truly special. With its main location near the Elephant and Castle, it’s well worth keeping your eyes peeled for other events that will be popping up around the city at regular intervals. 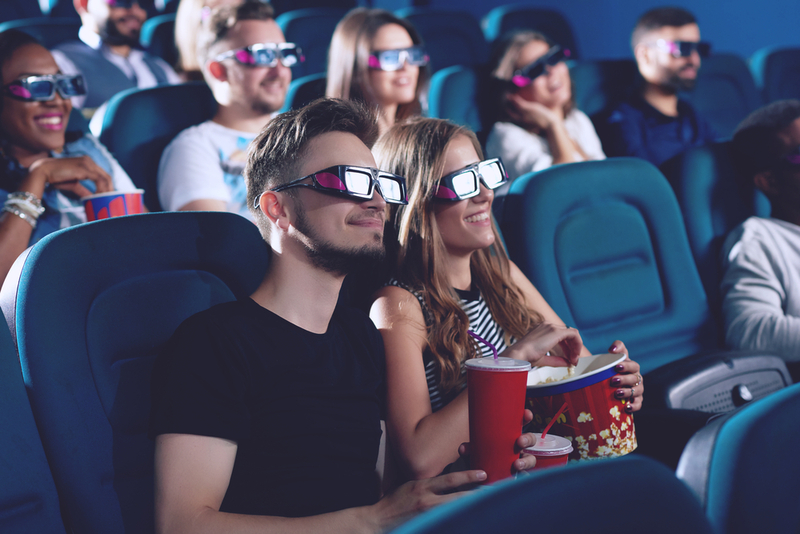 A five-minute stroll from The Devonshire London hotel to Bakerloo Tube station will get you to the Backyard Cinema in less than half an hour, so there’s plenty of time to stock up on nibbles and gigantic soft drinks before the movie starts. London takes outdoor cinema to a whole new level with its quirky venues, retro refreshments and fun seating ideas. Whether you’re taking a trip away with the family or celebrating a special occasion with friends, make sure you take a look at the fantastic outdoor cinema experiences for your next trip to the capital.